The wait is over. 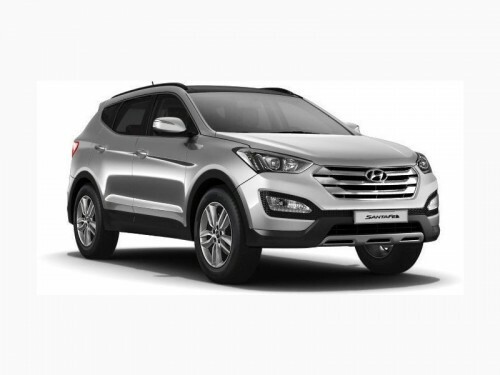 Hyundai, the Korean automaker, launches the internationally acclaimed Santa Fe’s 2015 model in India. Stuffed with brand new features, but without any major mechanical or design changes. The luxurious SUV offers a combination of luxury, power and cutting-edge technology. The advantage of Santa Fe is the flexibility of its interior space. The reconfigurable seven seats provide greater comfort, ensures ample cargo space to carry odd-shaped items. With Santa Fe, Hyundai aims to grab a bigger share of the highly competitive SUV segment in the country. It is available with 2.2 liter, 4 cylinder CRDi diesel engine paired with a 6-speed manual transmission box with an option between 2WD and 4WD which delivers a maximum power of 197PS/4000 rpm and a torque of 42.9 [email protected] It offers a good balance in performance, excellent drivability, and a great fuel mileage of 14.66 kmpl. The 2015 Santa Fe gets an 8-inches touchscreen based navigation system, with voice assist and route guidance which offers free map updates for 3 years from the date of purchase. It features a DVD player with iPod, USB, Bluetooth and Aux-in connectivity. To enhance the car’s acoustic property the interiors have been specially engineered to reduce engine, road and wind noise. Priced between 26-30 lakh, The new 2015 Santa Fe comes with Electronic Stability Programme which is claimed to be one of the industry’s most effective safety feature, which integrates the functions of Traction Control System, Anti-lock Braking System and Electronic Brake-force Distribution system, to ensure greater safety while driving. The SUV flaunts aggressive design features like rear spoiler with high mounted stop lamp, twin exhausts, heated outside mirrors with side repeaters and chrome accent door handles and high contrast rear combination lamps. On the flip side the SUV features automatic headlights which switches on automatically in dark.